Citizens are being benefited with new schemes. Prime Minister of our country implemented several schemes for the upliftment of the poor so that people of the poorer sections could also be linked with the main stream of development.He further said that BJP is the only party in which democracy exists. Whether it is the son of a poor farmer or son of the tea maker anyone and everyone can reach the high office of the party as everyone is selected on the basis of his or her merit and capability. In the party, nepotism has no place. This is one of the major reasons why our party is different from other existing parties in the country.Tandon once again congratulated all the workers and all the people of the country on the foundation day of the party and said that the party always works in the way of country's development and will continue to work for the betterment of the country. After this, the State President also participated in various activities organized at different places of the city and congratulated one and all. 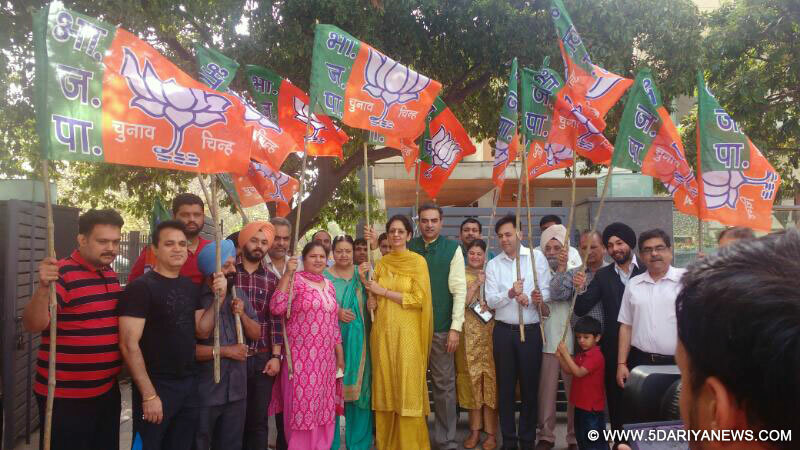 BJP Chandigarh organized “Vijay Sankalp” rally at different places all over Chandigarh.